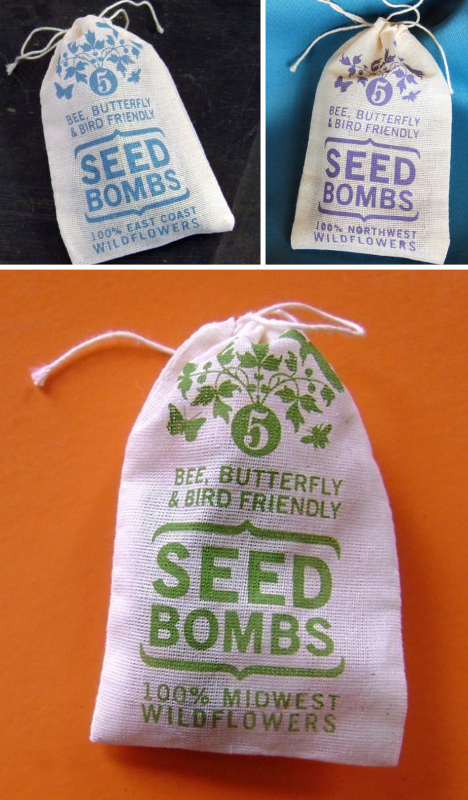 Filling shotgun shells with flower seeds is just the latest (and loudest) in a long line of designs for guerrilla gardeners. If you are looking for a little less bang for your buck than seed-swapped buckshot, you may wan to try a seed ball, bomb or grenade instead, all a bit more stealthy despite their loud-sounding names. 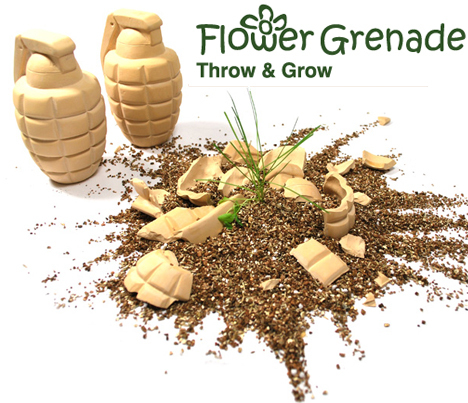 One throw-and-grow option for the concrete jungle is this compostable-shelled Flower Grenade packed with ryegrass, buttercups and poppies. This hardy custom-tailored mix is designed to flower in sequence for a multi-week, time-delay effect well beyond the ten seconds or so of their traditional wartime relatives. 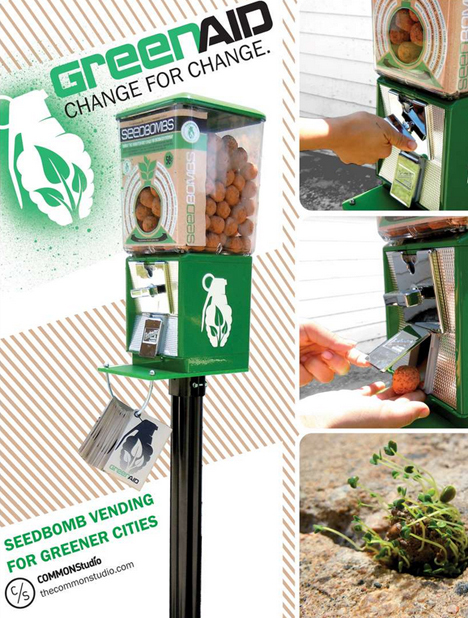 Another cleverly-titled approach comes from Greenaid, a group intent on seeding the urban landscape with converted gumball machines rejigged to dispense seed bombs instead of sweets. Put in a quarter and receive a ball made of clay, compost and seeds to help you compact dull gray vacant lots and faded green parking medians. 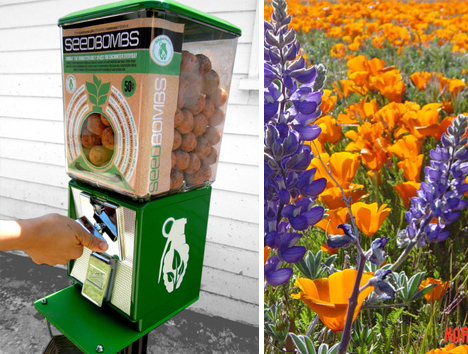 These Greenaid creations are uniquely tailored to provide local wildflowers native to the areas in which they are deployed – in LA, for instance, they contain White Yarrow, California Poppy, Lupine and Blue Flax. There are lots of other options, too, from region-oriented seed balls for sale on sites like Etsy to do-it-yourself instructions or kits to help you build your own. When it comes to guerrilla gardening, the real trick is understanding your environment and purpose, then strategically finding a solution for that particular context.